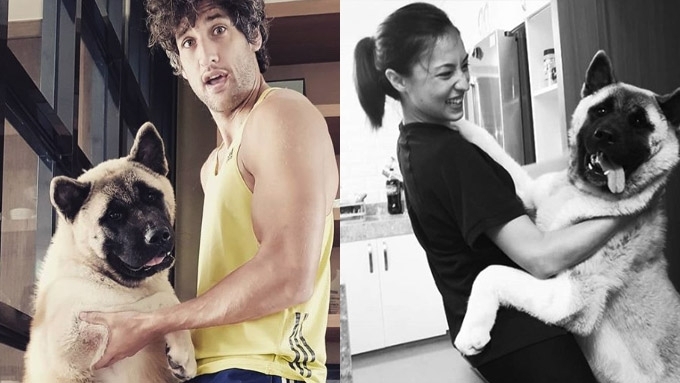 Solenn Heussaff and Nico Bolzico are proud "pet parents" to four animals: their turtles Patato and Pechuga (not in photo), their cat Negroni (not in photo), and their dog Pochola (center). Solenn Heussaff and Nico Bolzico have yet to welcome a Little Bolzico into their lives, but the husband and wife already have their hands full taking care of two turtles, a cat, and a dog, all living with them in their new home. "Little by little, we’re feeling that we’re actually married and not just boyfriend and girlfriend," Solenn told PEP.ph (Philippine Entertainment Portal) at a recent Philam Life event, in Century Mall, Makati City. "We moved to a bigger place and then we have animals now, so we have a bigger family." Much like Solenn and Nico, their four pets are stars on Instagram. The first Heussaff-Bolzico pet to be introduced on their accounts was Patato, the now-famous turtle. "Patato was given to us by a business partner of Nico and a friend," Solenn revealed. "He was our first pet ever." They first got him back when they were still staying at their condo in Bonifacio Global City. Solenn was hesitant to own a pet at first, but Patato "grew on [her]." After that, Solenn and Nico had their pet cat, Negroni. 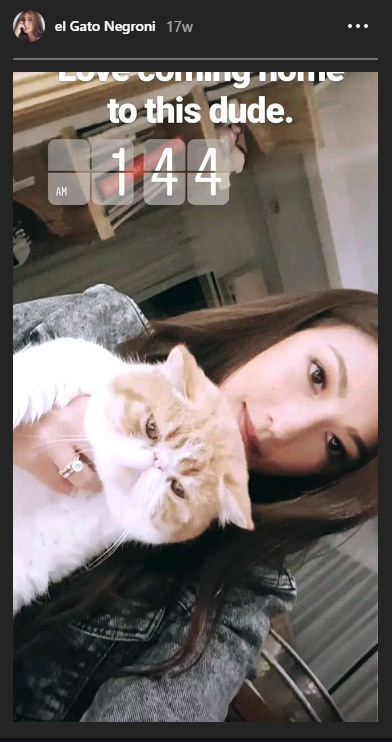 Solenn Heussaff takes a photo with her pet cat, Negroni. Then when they moved to their new home, they welcomed Pochola, an American Akita. Pochola is currently the couple's center of attention. Nico likened Pochola to the popular Japanese dog Hachiko, who was devoted to his master. "She is Hachiko!" he said. Solenn added, "When our friends gave birth, they always talk about their babies... Now that we have dogs—not to compare them to kids—but we only talk about our dog! "Even me and Nico, when we're having dinner, we are talking about our dog and the personality of our dog! "We're like a little family." Solenn also revealed that she and Nico did all of the pet-related chores by themselves. "Every morning, once we wake up, go down and walk around the village with our dog. "Nico combs her every day, we shower her every Sunday. We do everything on our own. "I boil her carrots, I boil her sayote, and I chop it. "It’s really like preparing for a kid." But admittedly, Solenn wouldn't necessary spend so much to spoil her pets. She said, "They’re family, but… I don’t want to add like a gold plate to [serve] the carrots."